My friend, the late great Howard House founded The House Ear Institute, which is the world’s most influential organization for the restoration of hearing. When Howard graduated from medical school, his father bankrolled a world tour. It was not for sightseeing. Instead, he told Howard to spend as much time with the most innovative physicians working on hearing loss. The collective insights changed the world. Technology is giving the world new forms of freedom. The active learner isn’t stymied by task-based work being obliterated by software and robotics. In fact, many have lost all interest in boring and monotonous work. Instead, they are defining the best ways to use freedom from that work. With access to unprecedented amounts of information, anyone can learn what they need to learn to succeed in mind-blowingly short periods of time. But, the real issue is in how far we go. In a world of accelerating change, active learners are quickly taking the lead spots in the world of work. That statement applies to all workers, from entry-level to CEO, business owners, and job holders. Aware employers hire for potential rather than perfect technological skill because that skill could become obsolete in a matter of months. Kevin Kelly, one of our leading tech journalist said we are longer learning to reach a particular target. We have reached a state of continually, “becoming.” That exciting proposition is that we are continually becoming better versions of ourselves. For someone without curiosity this is bad news. Today, we can witness whether someone is going to succeed or not succeed by how they use technology. Do they use it primarily to check out? After years of showing our young people how to ace tests, many of them are not learning. They have learned how to ace tests. But, what is Milan, really? 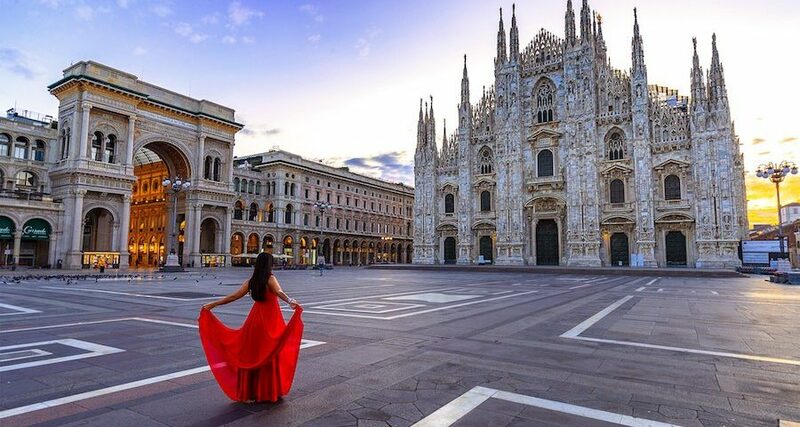 It is a spectacular magnet of creative talent that comes to Milan because it is the world capital of high fashion. The city boasts La Scala, the most legendary opera house in the world where Maria Callas became the high priestess of mezzo-sopranos and where she returned to regroup after being cast aside by Aristotle Onassis for Jackie Kennedy. The city has the largest Gothic Cathedral in Europe, filled with catacombs of the dead that walked through the same hurried streets in search of a good weaver. It is the entry point for the Lake District with its three bodies of water that represent the world’s single best blend of civility, glamour, and nature. It has become home to many of the world’s most elite leaders who come and simply never leave. It is Lake Como with Europe’s most glamorous hotel in Europe, The Villa D’Este, and the world’s most exclusive car show. Once a year, over a billion dollars of the rarest collectibles are shown to fans that book entry years in advance. Como, where Mussolini fled when the Axis fell, only to be strung up in a small village with his mistress, payment for his taking their beloved country into its darkest point in history.